Andrés J. Garcìa is the Rae S. and Frank H. Neely Endowed Chair and Regents’ Professor in the Woodruff School of Mechanical Engineering and the Petit Institute for Bioengineering and Bioscience at the Georgia Institute of Technology. He earned a B.S. in Mechanical Engineering with Honors from Cornell University in 1991, and M.S.E. (1992) and Ph.D. (1996) degrees in Bioengineering from the University of Pennsylvania. He completed a post-doctoral fellowship in cell and molecular biology at the School of Medicine of the University of Pennsylvania and then joined the faculty at Georgia Tech in 1998. Dr. García’s research program integrates innovative engineering, materials science, and cell biology concepts and technologies to create cell-instructive biomaterials for regenerative medicine and generate new knowledge in mechanobiology. This cross-disciplinary effort has resulted in new biomaterial platforms that elicit targeted cellular responses and tissue repair in various biomedical applications, innovative technologies to study and exploit cell adhesive interactions, and new mechanistic insights into the interplay of mechanics and cell biology. Dr. García is recognized as an international leader in bioengineering as demonstrated by his prestigious scholarly publications, invited presentations at conferences and research programs world-wide, research funding from NIH, NSF and private foundations, and membership on the editorial boards of leading biomaterial and regenerative medicine journals. In addition, his research has generated intellectual property and licensing agreements with start-up and multi-national companies, demonstrating the translational potential and impact of this work. 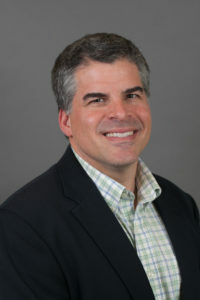 He has received several distinctions, including the NSF CAREER Award, Arthritis Investigator Award, Young Investigator Award from the Society for Biomaterials, Georgia Tech’s Outstanding Interdisciplinary Activities Award, and the Clemson Award for Basic Science from the Society for Biomaterials. He has been recognized as a top Latino educator by the Society of Hispanic Professional Engineers. He is an elected Fellow of Biomaterials Science and Engineering (by the International Union of Societies of Biomaterials Science and Engineering), Fellow of the American Association for the Advancement of Science, Fellow of the American Society of Mechanical Engineers, and Fellow of the American Institute for Medical and Biological Engineering. Dr. García’s research program centers on integrating innovative engineering, materials science, and cell biology concepts and technologies to generate (i) novel insights into the regulation of adhesive forces and mechanotransduction, and (ii) biofunctional materials (hydrogels, coatings, and nanoparticles) to control protein/cell delivery and tissue repair. This cross-disciplinary effort has resulted in new biomaterial platforms that elicit targeted cellular responses and tissue repair in various biomedical applications (bone repair, therapeutic vascularization, pancreatic islet delivery, and inflammation and infection), innovative technologies to study and exploit cell adhesive interactions, and new mechanistic insights into the interplay of mechanics and cell biology.